Use this postscript file to print a template. Don't scale the image when you print it - we want the printed disk to be 6" in diameter. You can try printing the postscript file directly onto a transparency. That might work ok if you've got a laser printer that can achieve good contrast on a plastic transparency sheet. If you've done that, cut the disk out of the plastic transparency, and you are finished with this step. 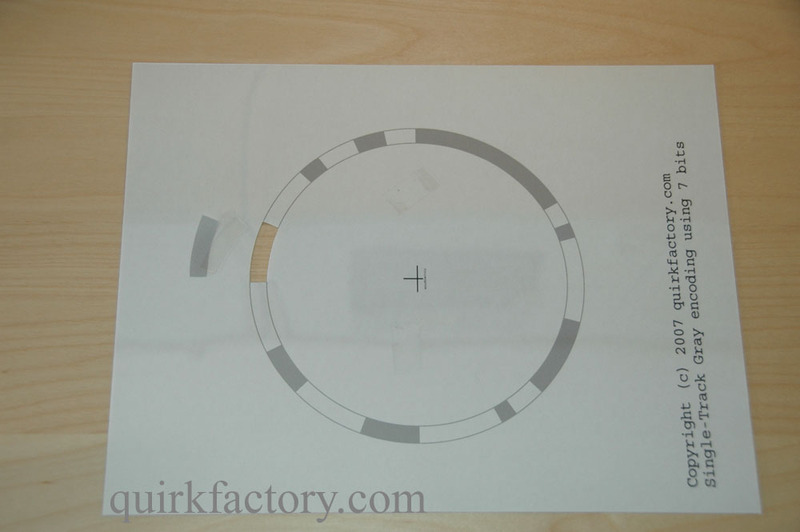 Take the template you've printed, and place a transparency sheet on top, as shown in this photo (the transparency is hard to see, because it's transparent). 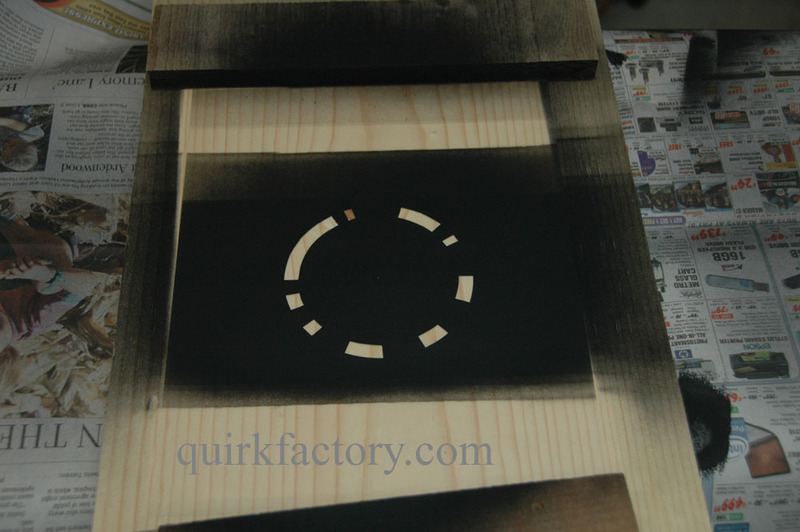 Using an X-Acto knife, very carefully cut out the portions which are dark on the template. Cut all the way through the transparency and template, remove the material as you proceed. Also, using a thumbtack, poke a hole through the center (this will cause the center to be marked during the painting phase). 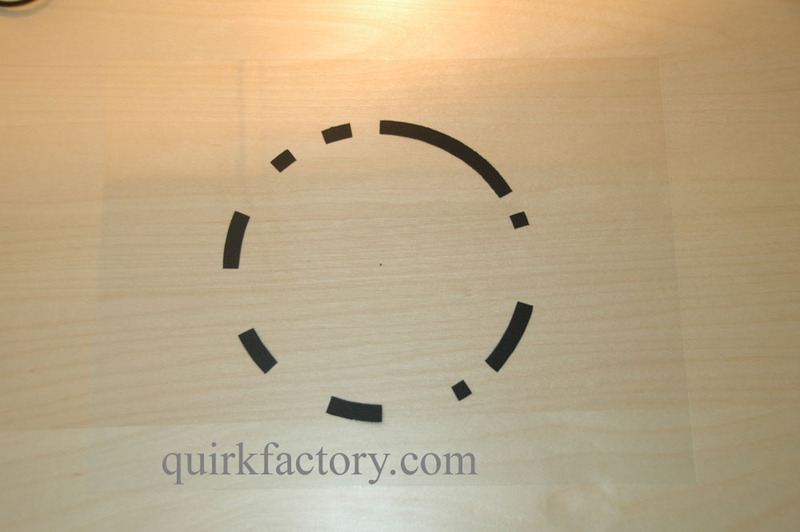 When you are finished, you should have a transparency sheet with nine circular arcs cut out. Find a place where you can safely do some spray-painting. Place your newly-cut transparency template on top of a fresh transparency sheet, making sure that the edges are aligned. 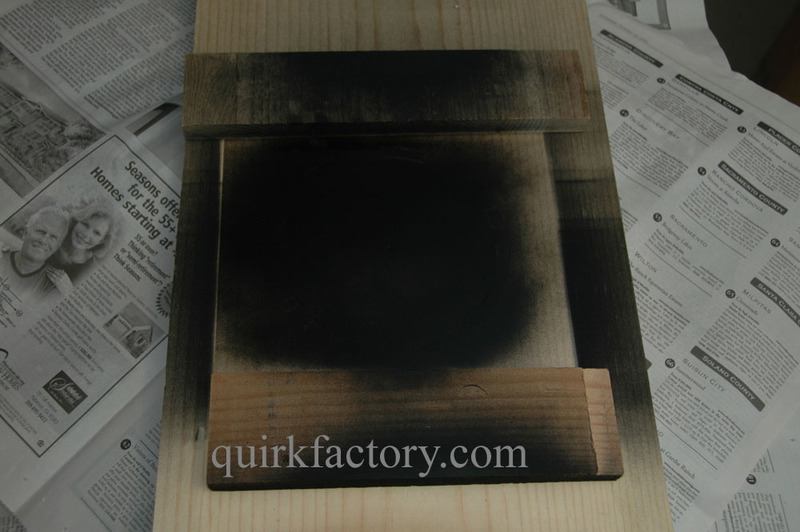 Using a flat black spray paint, apply a thin coat of spray paint. 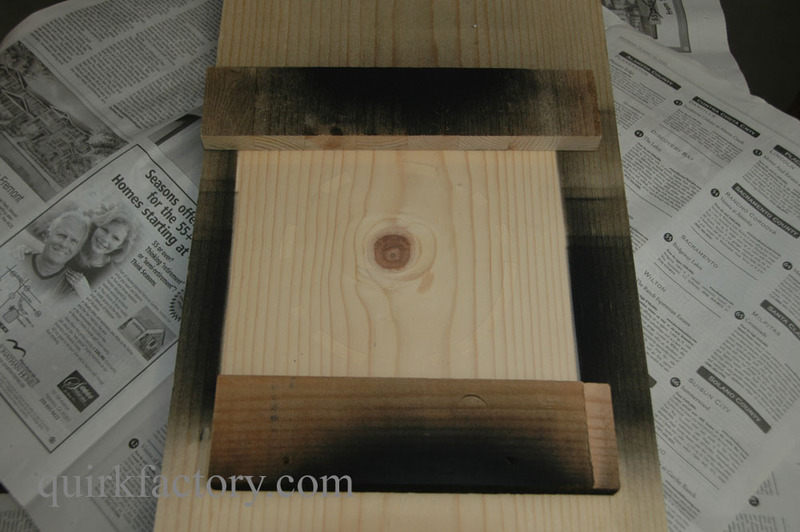 Spray paint the template in several stages, at about 5 minute intervals. You want to avoid having the surface get moist, as the paint might run. The best results require multiple coats, allowing the paint to dry between each coat. When the paint has finished drying, the transparency underneath should look like this. Cut the disk out of the center and discard the surrounding plastic. Your non-virgin template will look something like this afterward. You can re-use it later if you want to make another encoder disk.